The joint move by the Department of Agriculture, National Food Authority (NFA) and Department of Trade and Industry also instituted reforms in the rice trading and retailing industry. 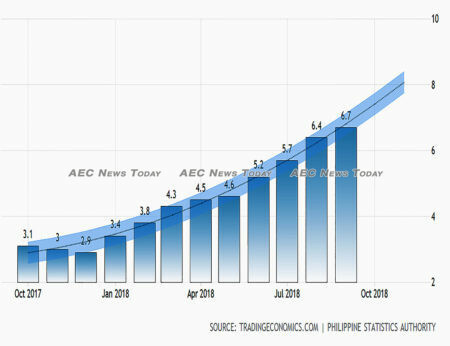 It comes as inflation in the Philippines reached its highest point since February 2009. Agriculture Secretary Emmanuel Piñol was quoted by news website Rappler as saying that those found violating the guidelines will face imprisonment of up to four years, a fine of up to $18,700 and the possible revocation of operating permits under the Price Act of 1992. Originally due to be implemented on October 23, the measure was delayed for four days at the request of the rice industry. Stakeholders have been given two weeks to adjust their prices, with the SRPs applicable at this stage to Metro Manila and it’s suburbs only. Under the new SRPs, imported ‘well-milled rice’ will be capped at PHP39, or about $0.73, per kilogram (about 2.2lbs). Imported premium grade 1 rice will be sold at PHP43 ($0.81) per kilogram and imported premium grade 2 rice has a ceiling price of PHP40 ($0.75). Local well-milled and local premium grade rice were capped at PHP44 ($0.82) and PHP47 ($0.88) per kilogram respectively. Special rice varieties such as red and black rice, Cordillera Heirloom rice, organic brown, and other indigenous rices are excluded from the SRPs. Fancy names, however, are not excluded. Under the new rules rice nicknames such as ‘Super Angelica’, ‘Yummy rice’, ‘Sinandomeng’, and others are banned, with those continuing the practice face jail and other penalties. “Though SRPs in Metro Manila will serve as a basis, there will be separate regional SRPs for Negros Occidental which will depend on the cost structure analysis”, said Mr Piñol, adding that figures are not constant. “It may be lower or higher depending on the transport cost”. The new rules comes amid rising prices for consumer goods, alleged malfeasance in the NFA, and rice shortages in Zamboanga City. In late August rice prices there soar to as much as PHP70 ($1.31) per kilo and a state of calamity was declared. (See: Typhoon Ompong threatens to deepen Philippine rice crisis). According to the Philippines Statistics Authority, inflation has increased for nine consecutive months, hitting 6.7 per cent in September, from 6.4 per cent in August. The food and non-alcoholic beverages index increased by 9.7 per cent alone in September, and many economists are expecting it to have hit 7 per cent last month, with no end in site. In September the cost of fish reportedly increased 12 per cent, while meat and vegetables increased 7 per cent and 20 per cent respectively. President Rodrigo Duterte had earlier denied there was any rice shortage in the country​, saying, “we have lots of rice… there’s even an excess”. 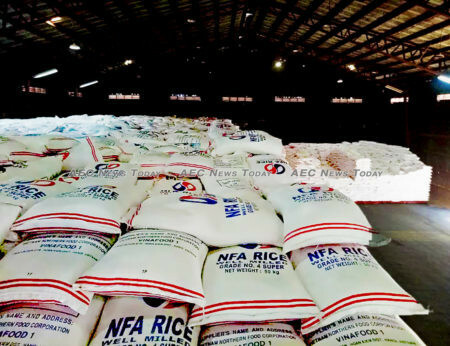 The Philippines has imported one million tons of rice so far in 2018, with the the NFA announcing approval for the import of an additional 750,000 tons. Mr Piñol said approval for one million tons of rice imports in 2019 has also been given. 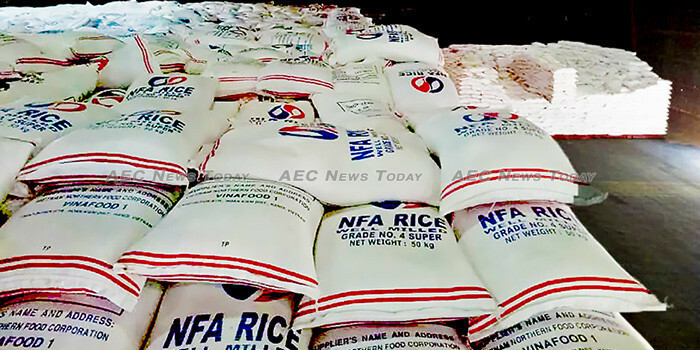 According to the guidelines the rice can be sourced from any country, with those from Asean member states attracting a 35 per cent tariff and those from elsewhere 50 per cent. Traders and importers are able to import a maximum of 20,000 tons. Rice must be imported within 90-days of approval. While the rice can be discharged at any Philippines port, importers must agree to immediately transfer stock to Zambasulta province if instructed. On August 14, House of Representatives approved lifting quantitative restrictions on rice imports, which some critics warned would allow entry of cheaper and/ or inferior rice that could hurt local farmers or consumers. Proponents of the move said that lifting the restrictions would raise revenues, enhance competitiveness in the agricultural sector, and improve farmers’ revenue. It’s not open slather though. Claims at the time by former presidential spokesperson Harry Rogue that Mr Duterte had ordered ‘unimpeded importation’ of rice have proved to be fake news. According to Mr Piñol “The President never used the word ‘unimpeded importation’ because that would be a disservice and injustice to the Filipino people. He directed us to ensure sufficient rice supply”, he said.